In 2005, when S.W. was about 7 years old, her grandmother sent her from her native Jamaica to visit relatives in Florida. While S.W. was away, her grandmother was fatally shot while sitting on a bus in Jamaica. Because S.W.’s parents had long been absent, her Florida relatives cared for her, although her stay in the U.S. was illegal. Family members shuttled S.W. between Florida, Albany, N.Y., and New York City, where she now lives with her aunt and uncle. She majors in criminal justice in college, which she attends part time because she doesn’t qualify for federal grants and loans. S.W. is a plaintiff in a lawsuit that uses initials to protect young people in the U.S. illegally from stigma or retaliation. S.W. applied for, and was denied, what is known as special-immigrant juvenile status, which allows children who are abused, neglected or abandoned by a parent to obtain a green card. In New York, immigrants under 21 were once routinely awarded the status, which was established by the federal government in 1990. But this year, lawyers say, immigrants in New York aged 18 through 20 have been routinely denied by federal immigration authorities. The denials are the subject of a proposed class-action lawsuit, filed Thursday against federal immigration officials in Manhattan federal court by public-defender group The Legal Aid Society and private law firm Latham & Watkins LLP. Legal Aid lawyers estimate about 3,000 young people with pending applications could be affected by what they view as an abrupt policy change. A spokeswoman for U.S. Citizenship and Immigration Services said the agency doesn’t discuss pending litigation. In April, the agency said it had begun reviewing pending cases because it had received new legal guidance from its chief counsel. Applicants go through a two-step legal process. 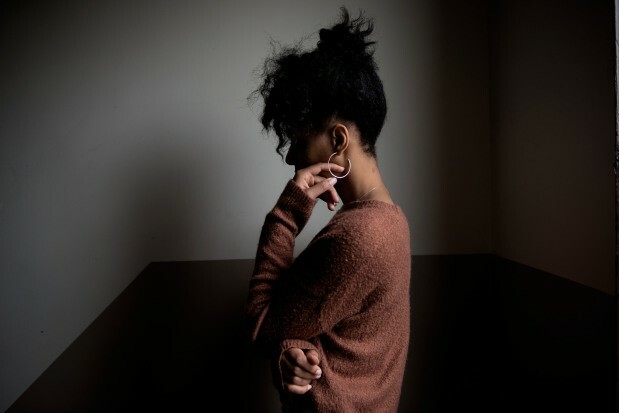 First, a state juvenile court must find a young person is neglected, is dependent on the court or a court-appointed guardian and that it isn’t in her best interest to return to her home country. Then U.S. Citizenship and Immigration Services decides whether the young person is eligible for special-immigrant juvenile status. Under state law, New York family courts maintain authority to appoint a guardian until people turn 21. In recent denials, the lawsuit claims, federal immigration authorities have said family courts aren’t considered juvenile courts when establishing eligibility for immigrants aged 18, 19 and 20. In S.W.’s case, a state family court named her uncle as her guardian when she was 18. In March, federal authorities denied her application. “[The immigration agency] has determined that there is insufficient evidence to conclude that the order was issued by a juvenile court,” as required by law, her denial letter said. “I was disappointed and hurt,” said S.W. Critics of awarding the special status to those aged 18 through 20 note that while denials like S.W.’s might seem harsh, adults don’t warrant such protections. Furthermore, Mr. Arthur said, special-immigrant juvenile status attracts young people who serve as possible recruits for gangs such as MS-13, which is linked to violence and killings on Long Island and elsewhere in the U.S. In late March, U.S. Immigration and Customs Enforcement said that since May 2017 it had arrested 64 people with special-immigrant juvenile status in the New York City area as part of its effort to target members of MS-13. Immigration advocates have accused ICE of wrongly determining that teenagers are associated with gangs. An ICE spokeswoman said all 64 were gang members or associates. For immigration attorneys, the repeated denials have led to difficult conversations with clients seeking green cards. While obtaining the special status leads to advantages such as working legally, lawyers worry that applying could alert immigration-enforcement authorities to young people in the country illegally. “It’s a terrible choice,” she added. R.F.M., also a plaintiff in the suit, was born in the Dominican Republic. Her mother sent her to live with her grandmother in the Bronx when she was 8 months old. R.F.M., now 20, wants to go to college, buy a car and get a job—the kind that requires legal status, unlike the nail salon where she once worked. And she wants to leave the Bronx.